Jim concentrates his practice on general corporate and securities matters. He has experience in a number of substantive areas, including corporate finance, public offerings and private placements, joint ventures, contract negotiations and mergers and acquisitions of both public and private companies. Served as primary counsel to NYSE-listed industrial REIT with respect to several public offerings utilizing diverse structures, including a 12.5 million share of common stock ($65.6 million) firm commitment underwriting, various "bought deal" underwritten offerings of an aggregate of over 35.1 million shares of common stock for gross proceeds of over $450 million, continuous “at-the-market” programs offering up to 10 million shares, 12.5 million shares and 13.3 million shares of common stock, respectively, and direct stock sales of up to 5 million shares pursuant to a dividend reinvestment and direct stock purchase plan. The offerings utilized takedowns from a universal shelf registration statement on which we previously represented the company. Served as primary counsel to First Industrial in connection with its cash tender offers for $160 million and $87 million, respectively, in aggregate principal amount of notes utilizing a "waterfall" structure to prioritize accepted tenders. Served as primary counsel to First Industrial in connection with the negotiation of its $625 million unsecured revolving credit facility, $200 million unsecured term loan facility and $260 million unsecured term loan facility. Ventas Acquisition of Senior Care, Inc. 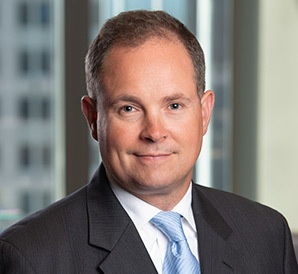 Served as primary counsel to Ventas, Inc., an S&P 500 company and one of the largest healthcare REITs in the U.S., in connection with the acquisition of the outstanding shares of Senior Care, Inc. Served as primary counsel to Ventas in connection with its $380 million acquisition of Lillibridge Healthcare Services, Inc. and its related entities, and real estate interests in 95 medical office buildings. Served as primary counsel to Ventas in connection with its $186 million acquisition of real estate interests in 58 senior living communities from Sunrise Senior Living. Represented Hub International Limited and its affiliates in more than 25 acquisitions of insurance agencies through a combination of asset and share acquisitions. Served as counsel to Medgenics, Inc., an Israeli clinical-stage biopharmaceutical company, in its U.S. initial public offering of common stock on the NYSE Amex. Represented The Shidler Group in connection with the formation of a new public west coast-focused office properties REIT in a "reverse merger" transaction involving the contribution of The Shidler Group's western U.S. office building portfolio to a newly created operating partnership subsidiary of Pacific Office Properties Trust and the assumption of indebtedness in excess of $750 million.